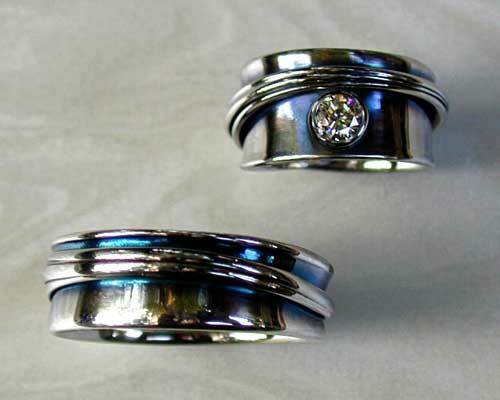 Ladies Band for, Free-form Engagement Ring Set. Continuous wrap-a-round, free-form band 14k white gold with diamonds bead set, rhodium finish. 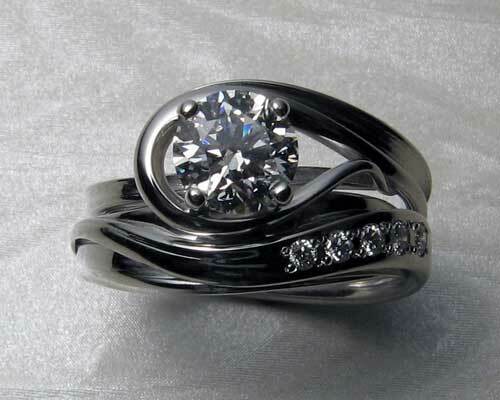 Engagement ring for, free-form engagement ring set.